According to a study by Safewise, monitored safety and security devices in your Hampton Roads, VA home can reduce your homeowner’s insurance up to 20 percent. WSC Home Audio and Video provides home security solutions that give you not only peace of mind but also abundant savings. How? The FBI has reported that a burglary occurs approximately every 15 seconds in the U.S., and homes without security systems are three times more likely to be invaded than homes that have security systems. Insurance companies determine costs based on risk, so the higher your risk of criminal activity, the higher your premium. That’s where smart security devices come in handy. Insurance companies understand that monitored security systems reduce the likelihood your home will be burglarized or suffer costly water or fire damage, resulting in fewer claims for them and, ultimately, less expense for homeowners. On average, users with home security systems save between 15-20 percent on their homeowner’s insurance premiums. Because the ultimate goal lies in lowering your risk factors, it comes as no surprise that the more integrated the home security system, the deeper your discount. Call your homeowner’s insurance agency for specific rates. Hoping to lower your homeowner’s insurance even more? Keep reading for the highest-value safety features. Generally, monitored systems get deeper discounts than unmonitored systems. So if you choose security and surveillance equipment that sends alerts to you as well as extensive footage of your home, your premium should dip substantially. You should also make sure you get the maximum value from security through expertly positioned cameras so that you can investigate every corner of your home. 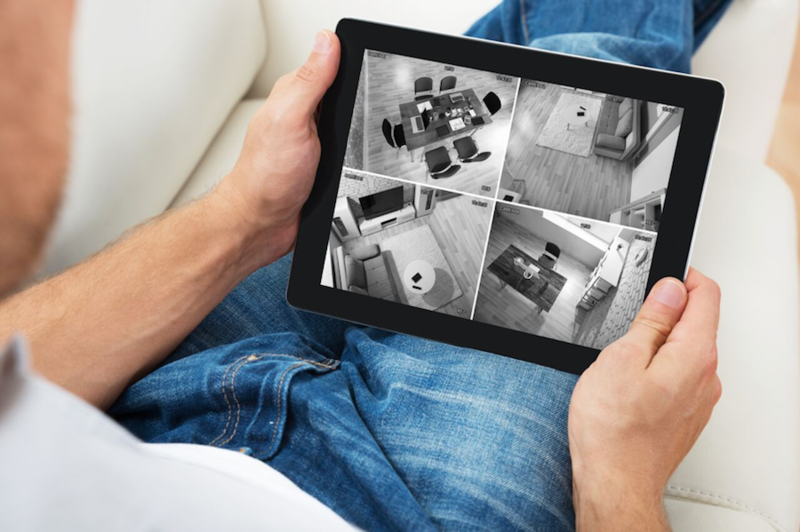 Proper camera placement maximizes your security investment: WSC will help you find high-quality security cameras to place strategically around the property. Though a more considerable investment, automated safety devices save the most. For example, lighting that integrates with your surveillance system might lower your cost since well-lit homes deter criminals. Smart lighting that works with motion detectors can be even more useful since it catches troublemakers off guard. Even if you make the home security investment chiefly to lower your homeowner’s premium, you’ll notice rewards that keep adding up. Wouldn’t you love to gain the peace of mind that your family will stay safe whether you’re a room away or a continent away? A security system that you can access from a smartphone gives you that confidence. A benefit of home security that people often forget is protection against fire or flood damage. With built-in flood sensors and CO/smoke monitors, your home and family escape any emergency. Also, when you decide to sell your home, a fully loaded security suite will increase its value or convince a prospect to accept the offer. Homebuyers desire homes that seem to carry fewer risks, and homebuyers, especially with families, will spend more money to obtain it. Your dream asking price might even become a reality. Are you ready to protect your family within your Virginia home? Talk to WSC Home Audio and Video, and we’ll look at your property and evaluate your needs. Contact us today to get started, or chat with us using the box to the bottom right if you have any questions or concerns. We can’t wait to hear from you!